There was a rookie team training session that was held at Chippewa Middle School that we were invited to. 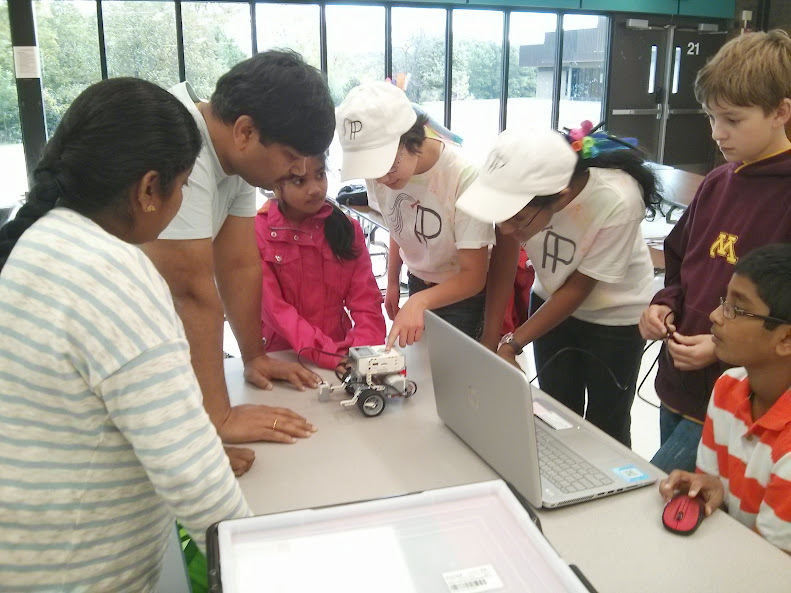 New FLL teams from various areas came and we, along with some other cool volunteers, showed them basics on programming, the project, and designing. For programming they were using the EV3 (Our team uses NXT), so we were a little confused at first, but we tried our best and adapted to the new format. It was a new and interesting experience! Afterward, the volunteers got pizza and salad and grapes, which was definitely an extra benefit.